3-in-1 Formula Cleans, Moisturizes, and Protects. 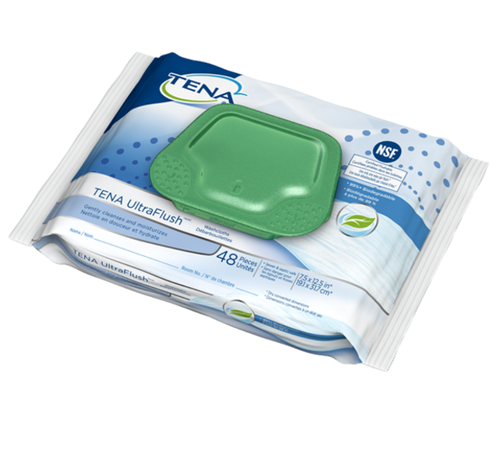 TENA® UltraFlush Washcloths are dispensed from a flip-top package that allows the user to pull one sheet at a time. 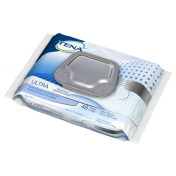 The moisture inside the pack is sealed when the top is closed, maintaining the washcloths' effectiveness after each use. Each washcloth is simply flushed or thrown away after each use. 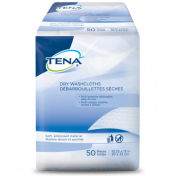 They come 45 washcloths a pack and are typically used for adults who need daily perineal cleaning. 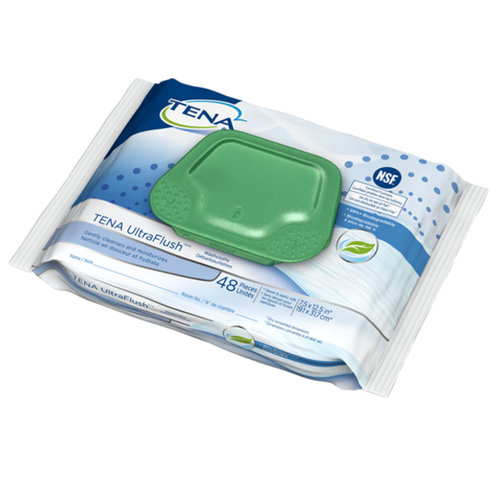 The wipes are flushable and are safe to dispose of in maintained sewer and septic systems. They come with a 3-in-1 cleaning formula to cleanse, moisturize and protect. The washcloths are large and cover a big area, making them very cost effective. They will not irritate skin after repeated use.